They have this in Japan, but I don’t think it would work here. It requires the trains stop so the doors are always in the same place. Not sure they can achieve this level of accuracy. Have you ever see trains stop so the doors are always in the same place on the platform? 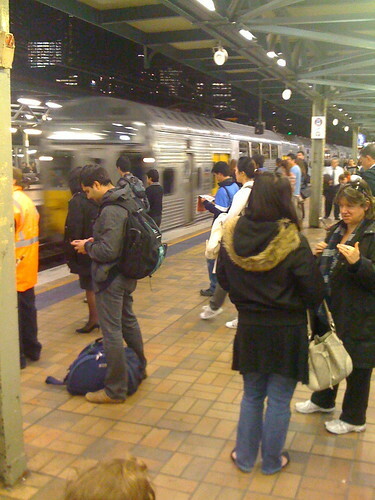 This entry was posted in News, Travel and tagged CityRail, train, train station. Bookmark the permalink.